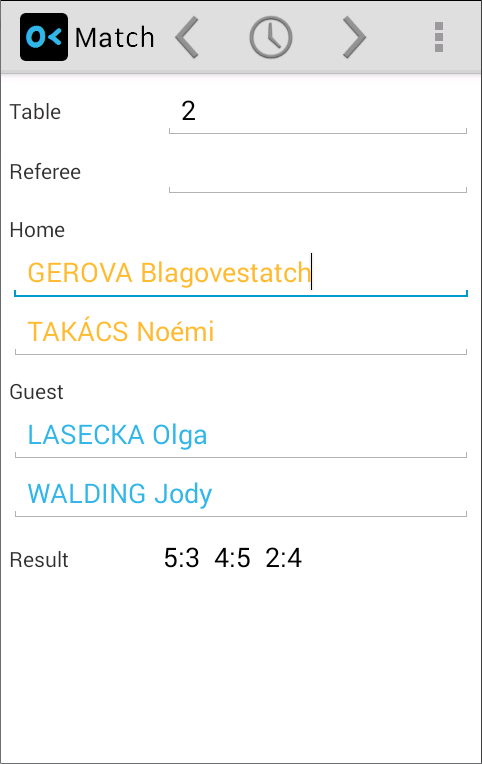 The RefereeApp runs on Android smartphones/tablets and was designed for umpires. The RefereeApp replaces paper forms, which had to be filled out by the umpiresvia pens. Points are counted interactively, just by a tap on the screen. 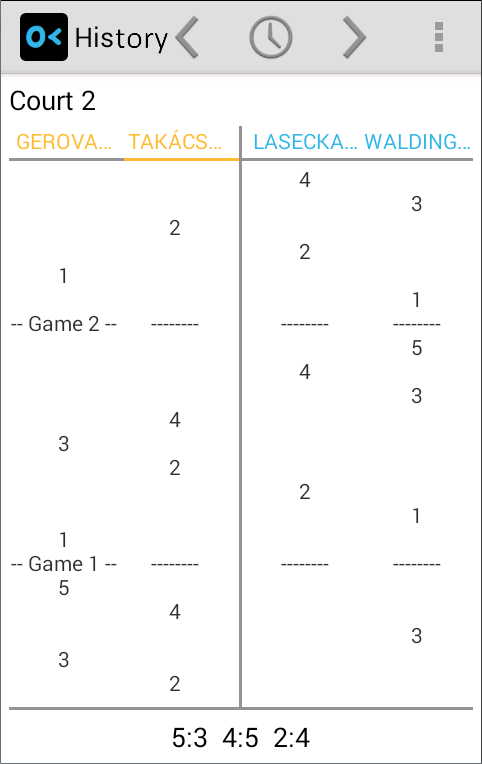 The app automatically shows the new positioning of the players and the next server. A clock shows time-outs and their end. Adaptable for any other sport. contains neither advertising nor in-app sales. 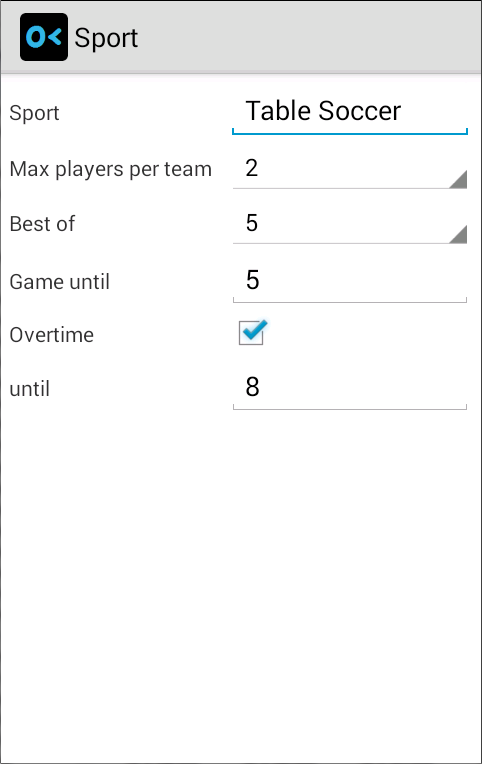 The data entered by the user (names of players/referees) are stored exclusively in a local file on the smartphone.